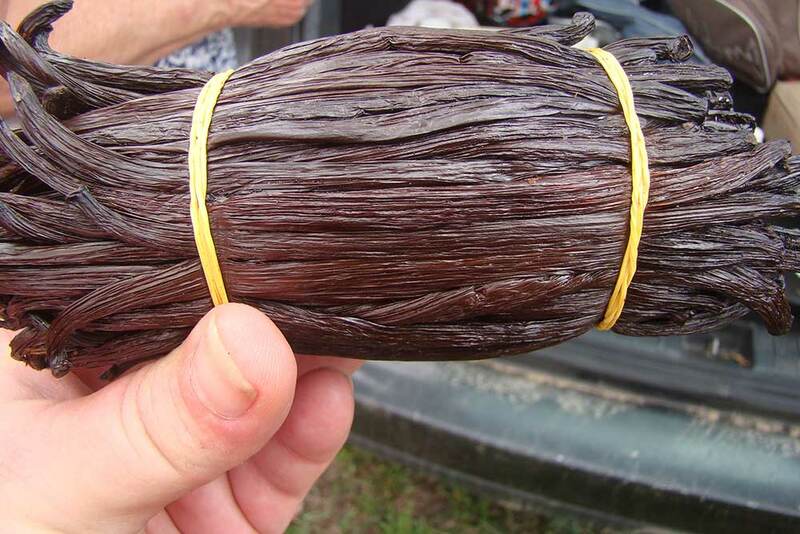 Vanilla is a great local product. 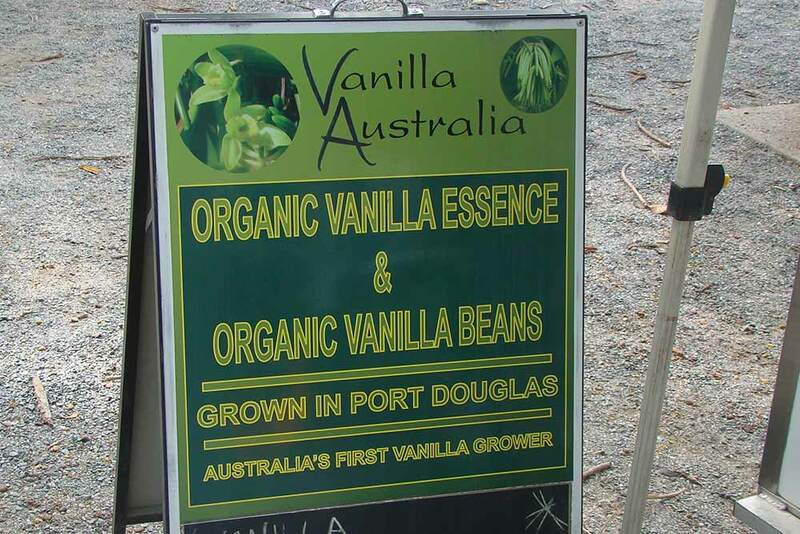 Port Douglas may be famous for the Great Barrier Reef but it is also home to the best vanilla grown in the world. 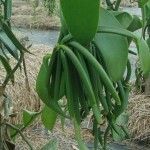 The ultimate vanilla comes from Port Douglas and is grown by Vanilla Australia (VA) and comes from the pod of an orchid. The ultimate pod comes from a long and loving curing process. The standard length of time to cure a pod is 8 months but at VA, each pod takes a total of 18 months to cure. 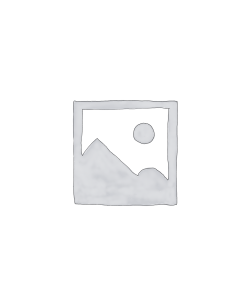 The result is a far superior product that is very pliable and packed with vanillin. 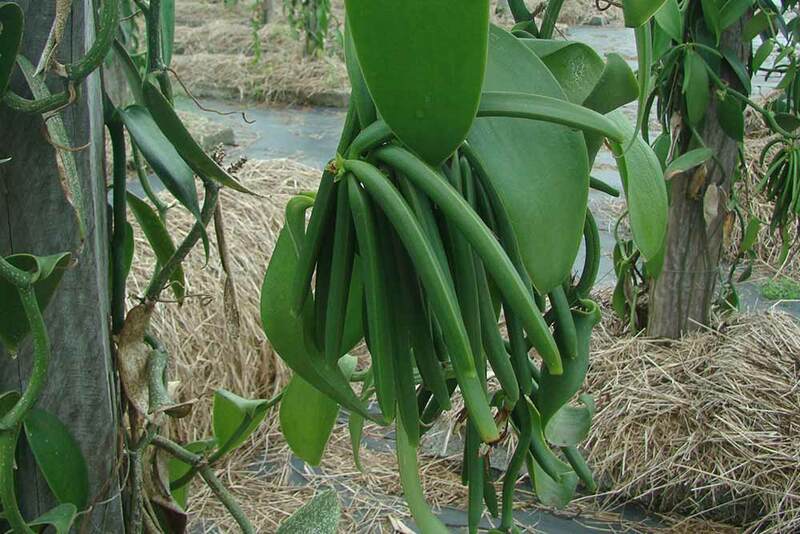 In fact VA grows pods that contain 4 times the normal amount of vanillin. A little bit goes a LONG way. 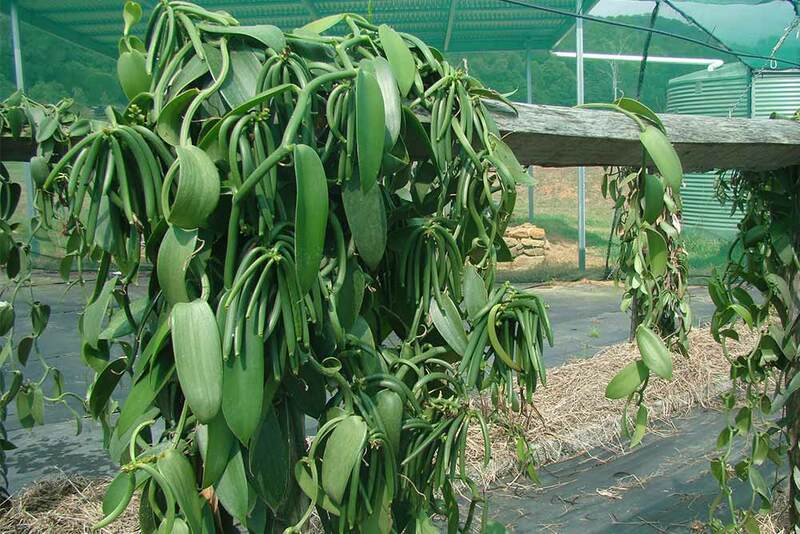 Vanilla is one of the most labour intensive crops in the world as the orchid only flowers for one day a year- also each pod is hand cured. Russell and Mary also hand pollinate each orchid flower. Growing the ultimate pod is a labour of love. 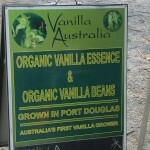 Russell and Mary Spanton have been growing biodynamic organic vanilla in Port Douglas for a long time. They use cinnamon oil to eradicate fungal issues in the greenhouse where it is grown. Imagine the heavenly aroma of that greenhouse! 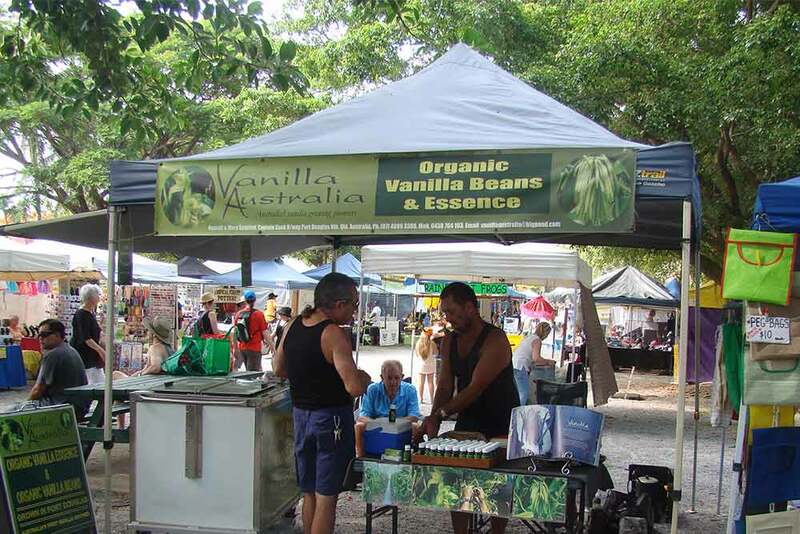 Russell attends the Mossman Markets every Saturday morning and the Port Douglas Market every Sunday morning. Russell brings a little blue esky with a bundle of his beautiful pods. He sells the pods individually. When he opens that esky the aroma is amazing. Russell also has essence for sale- the perfect gift for any friends that love to bake. 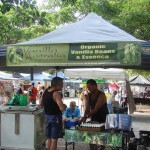 VA also bring their home made vanilla ice-cream to the markets where you can purchase some to taste. If you are a passionate foodie, you need to try this local product. 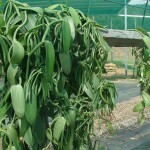 This entry was posted in Food, Produce and tagged orchid, vanilla.